In a controversial study, scientists in China have inserted a gene involved in human brain development in the genomes of monkeys. After they inserted the gene, the team of scientists then conducted tests on the monkeys to see if their brains worked better in cognitive tasks, than a control group of similar monkeys. Out of 11 rhesus monkeys, five lived long enough to have their cognitive abilities tested in followup experiments. According to the study, the transgenic monkeys did perform better on memory tests and reaction time tests when compared with the non-gene-edited group. The study was published in National Science Review, detailing the insertion of the human gene MCPH1 into the rhesus monkeys. In one test, where the monkeys had to remember the colour and shape of a stimulus on a screen, the outcome proved positive. Remarkably, our preliminary cognitive test detected an improved short-term memory in the [transgenic] monkeys. Though the monkey’s brains did not differ in size to their control group counterparts, they did take longer to develop. The study suggested the monkey’s neuronal development and myelination – in which membranes develop around nerve fibers to speed up nerve impulse transmission – was delayed, in a similar process to human brains. One hallmark difference between humans and nonhuman primates is that humans require a much longer time to shape their neuro-networks during development, greatly elongating the childhood, i.e. the so-called ‘neoteny’. However, the research – which was carried out by the Chinese Academy of Sciences’ Kunming Institute of Zoology, in partnership with US scientists at the University of North Carolina – has been called ethically controversial by other scientists. The first ethical issue concerns whether this research is scientifically sound enough to justify the use of animals. Are the research methods able to answer the questions that the scientists are asking – if not – that’s the first hard stop. The second issue concerns whether it is appropriate to use monkeys in particular. Can this research be done with alternatives that do not involve risks to nonhuman primates? Jim Sikela, a colleague at the University of Colorado, has pointed out that there are organoids available (i.e. modified cells in culture) from both humans and chimps that mimic many of the molecular/cellular characteristics of the brain. Groups are putting human genes in chimp brain oganoids as an alternative to using living primates for getting information about how human brain genes work. Others, however, were less concerned. 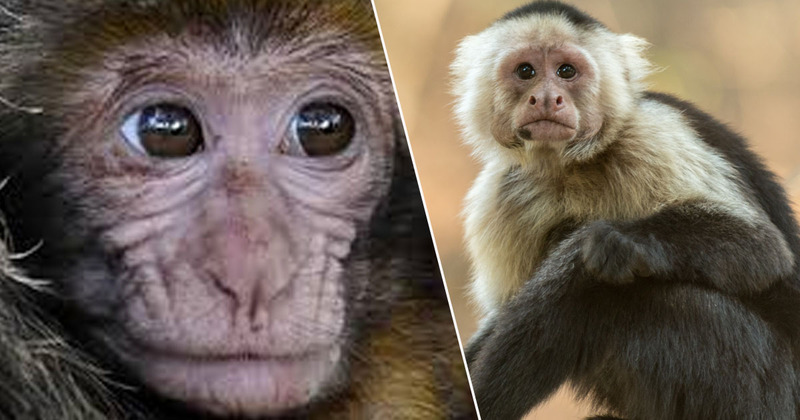 Larry Baum, a researcher at Hong Kong University’s Centre for Genomic Sciences, told MIT Technology Review ‘the genome of rhesus monkeys differs from ours by a few percent – that’s millions of individual DNA bases differing between humans and monkeys’. As the study only changed a small number of genes out of thousands, Larry added: ‘You can decide for yourself whether there is anything to worry about’. The team who carried out the research believe their findings can ‘provide important – and potentially unique – insights into basic questions of what actually makes humans unique’.